After a 10 years absence, the former IH 1066 Pro Stock called ,,Diable Rouge´´ of Benoit Soenen from Bernay, in France is back on the French Pulling tracks since last year. The French Team around Benoit Soenen, Gonzague Lebrun and Edouard Lebrun converted the Pro Stock into a Limited Super Stock tractor on alcohol during the last winter. 10 years ago in 2008, driver and owner Benoit Soenen had a big engine damage on his IH Pro Stock Tractor called ,,Diable Rouge´´. Due to lack of time after the founding of his company (Carboflex) who is specialized in hydraulic, he had no more time to work on his tractor. In December 2017, Gonzague and Edouard Lebrun joined the team and started to work with Benoit on the tractor. 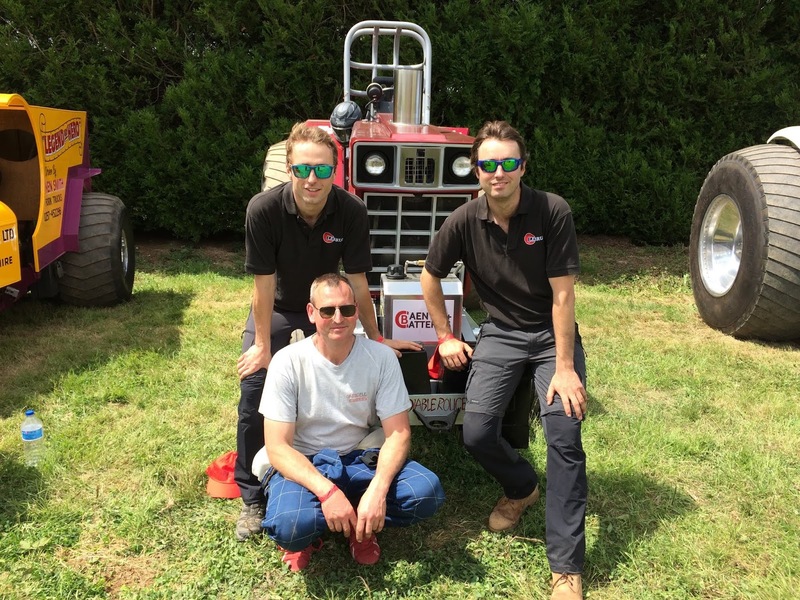 Gonzague and Edouard Lebrun are the sons of Christian Lebrun, the owner and driver of the Case IH Magnum Super Stock called ,,Rustica´´ who ran during the 80’s and beginning of the 90’s on the French pulling tracks. Together they decided to convert the Pro Stock into a Limited Super Stock to compete against the Deutz-Fahr TTV 7250 called ,,Warrior´´ and the John Deere 8520 called ,,Froggy´´ in the French Championship. The work started on the rear axle and gearbox of the old Pro Stock. 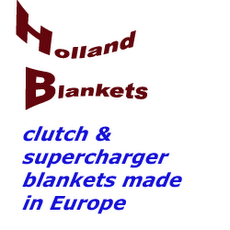 They changed the gear ratio of the transmission and saved weight on the planetaries in the rear axle. Also the cast iron bell housing got some changes. The housing was machined and the shatter blanket around the housing was replaced by a steel liner who was fitted into the bell housing. After those work, they have made the technical choice to go into the class. The power plant of the Limited Super Stock was completely new rebuilt and received a lots of changes. 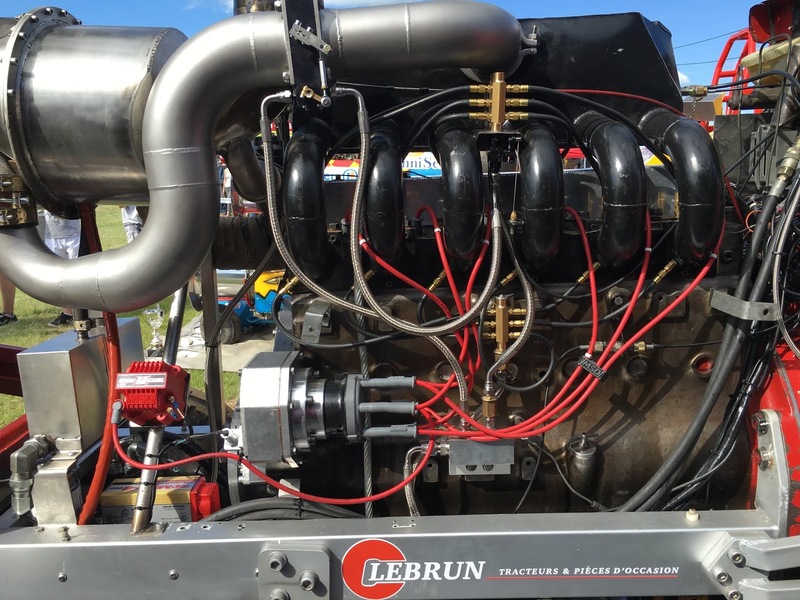 The machine is powered by a turbocharged 6 cylinder IH DT466 engine with 7.6l displacement on methanol fuel. The engine has a new revised IH DT466 cast iron block with new custom made sleeves from Post & Dros in Dronten, the Netherlands, new billet aluminium rods with new billet modified Arias pistons, a new counterweighted crankshaft, a revised DT 466 head with a Hypermax billet camshaft, bigger valves and harder springs, a homemade intake and exhaust manifold, a Holset HX82 turbocharger, a VSP (Veldhuizen Special Products) methanol fuel system with a VSP fuel pump, a Aviaid oil pump, a MSD 8 ignition and a RPM data logger. The Arias pistons were themselves modified because of the different compression in a methanol powered engine and the billet Hypermax camshaft was took over of the old Pro Stock engine. 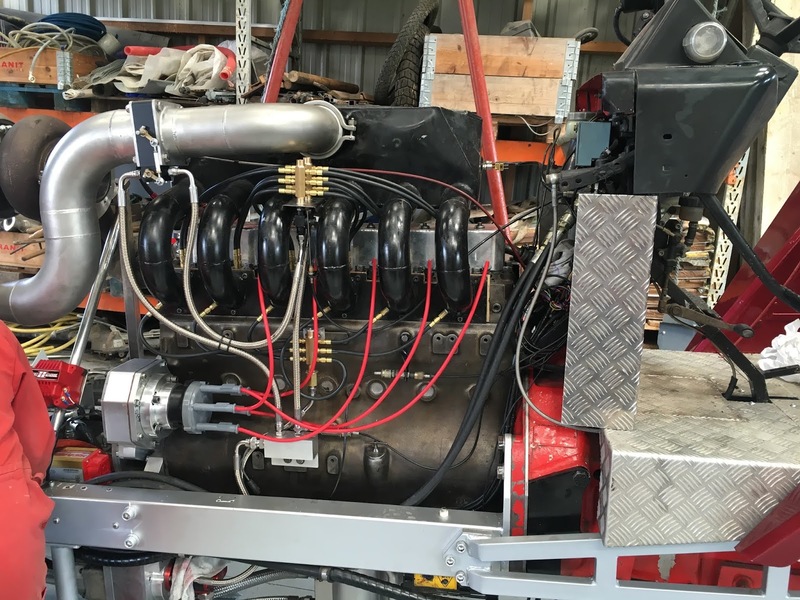 In January 2018, during a trip to the Indoor Pull in Zwolle, the Netherlands, the team went to Willem Veldhuizen to purchase a fuel system, an ignition system and many other things. Also the team received a lots of advice from Willem to convert the tractor from diesel to methanol. In the end of May the countdown started in the workshop before the event in Bernay. 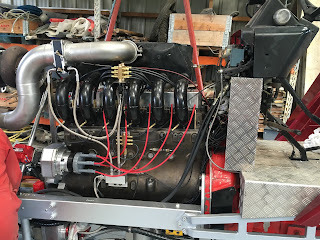 A lots of work had to be done to install everything on the tractor, among other building up the fuel system, the ignition and all the safety equipment. To do this, the team received a big help from the CDH Pulling Team around Guy de Hoef. They spent a lots of time in their workshop to working on the tractor and to share their experience they gained with their Limited Super Stock Tractors called ,,Froggy´´ and ,,Warrior´´. A few days before Bernay, the French team fired up Diable Rouge on methanol for the first time. Everyone was very excited, but many adjustements were needed. Everyone worked hard on the tractor until the last day. The maiden run of the Tractor was at the 2nd of June 2018 in Bernay, France. The Team made 2 attempts, but the engine of the tractor wasn´t able to make the right rpm. After Bernay and a few more adjustments they made 2 test passes in front of the French sled. But the result was still not good. Back at the workshop, Benoit designed new parts for the ignition and the problem was solved. On the 5th of August 2018, the team competed at the 2nd round of the French Championship in Mouzeil. There they made the first Full Pull and everyone was very happy. In the finals with a heavy sled setting the tractor also made a very nice pass and they brought home their first win. The next stop for the guys was in Taulé. Gonzague Lebrun was in the hot seat of the tractor for the first time. It was his first driving experience ever on a Pulling Tractor. The first run was perfect with more than 110m. Because of a bad start and a short distance in the finals, Gonzague took with Diable Rouge the 2nd place. Also the rest of the season was very nice for the team with good results on the last 2 French pulls in La Celette and Bailleul Le Soc. 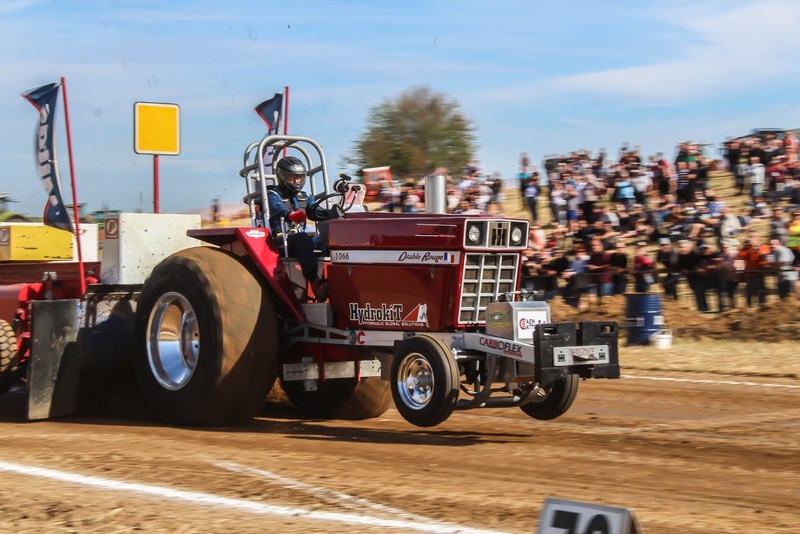 The first season in the Limited Super Stock division ended for the Diable Rouge Team with the runner up position in the French Championship between the both Tractors of the CDH Pulling Team. 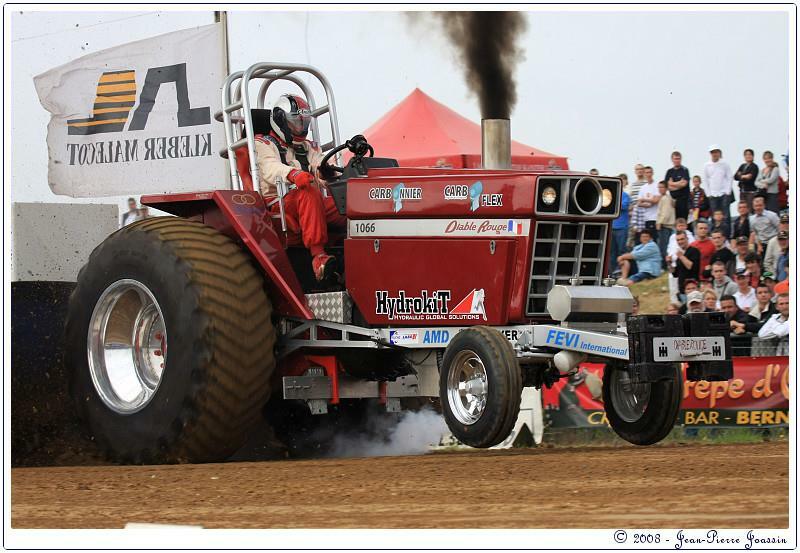 For the next season the Diable Rouge Pulling Team will make some changes on the tractor. A new camshaft for the engine from Patrice Beaudry (driver and owner of the Case IH Component Super Stock called ,,Crazy Canuck´´) in Canada is odered and few more things. The Team hopes to get more power and a better reliability out of the IH DT466 engine with those changes. 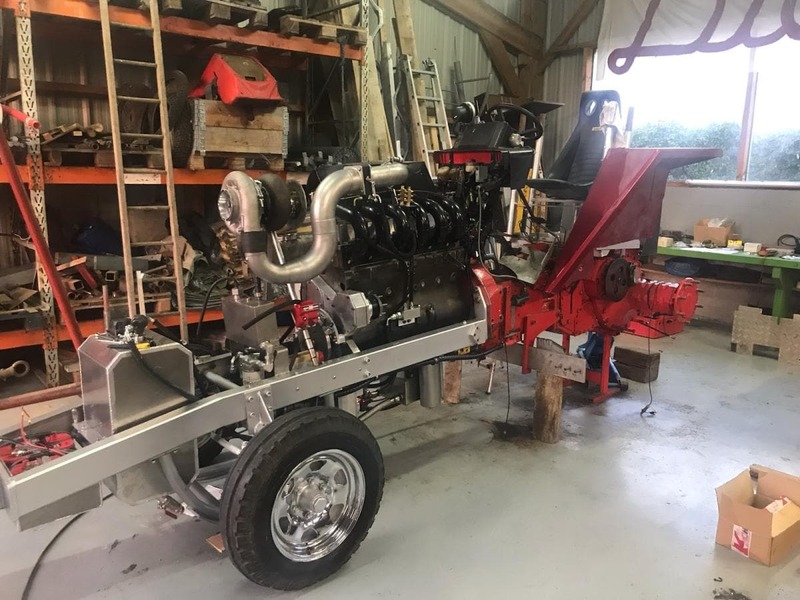 For the 2019 season, the Limited Super Stock Team will compete in the French Championship and hopes to compete on some pulls outside of France, to fight against some other competitors. Last but not least the Diable Rouge Pulling Team would also like to give a big thanks especially to the guys from CDH Pulling Team, Willem Veldhuizen for his help and the system he supplied, Patrice Beaudry for his advices, the company Carboflex (www.carbo-flex.fr) and Lebrun Tractor and Parts (www.chlebrun.fr).